Basement Doll – it’s spooky! 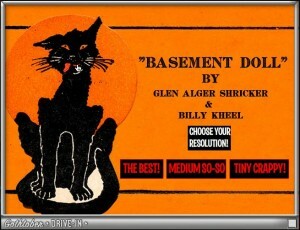 Today’s artwork is a short film titled “Basement Doll” by Glen Alger Shricker and Billy Kheel. Very odd to have two doll-related films in a row, and no, we didn’t plan it that way! 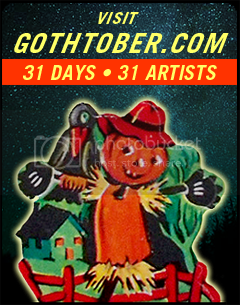 go to gothtober.com and click on day 3 to see the fun! THOSE! an exciting new film for day two Ever wanted Peanut Butter Eyeballs?